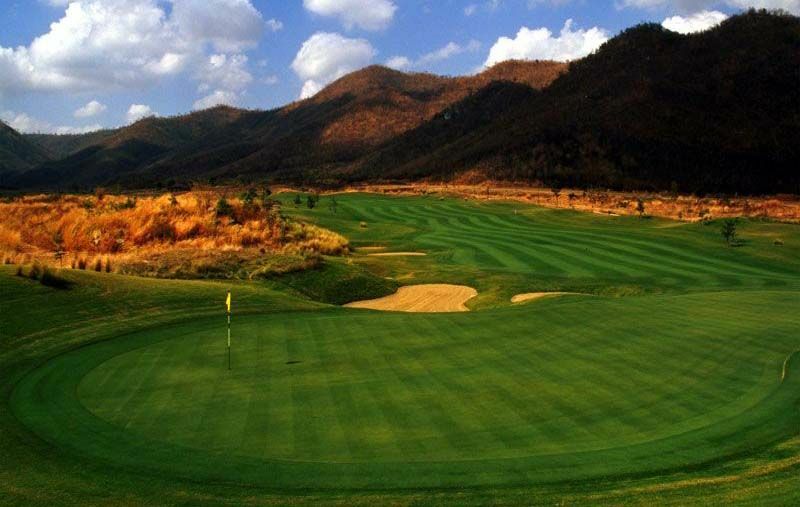 Firstly, the setting of the Dragon Hills Golf and Country Club is something special, with the course sitting nicely in the middle of the Kanchanaburi hills and valleys. Surrounding the golf course, is natural Thailand jungle and it’s this which gives the feeling of being on an adventure, when playing a round at Dragon Hills. 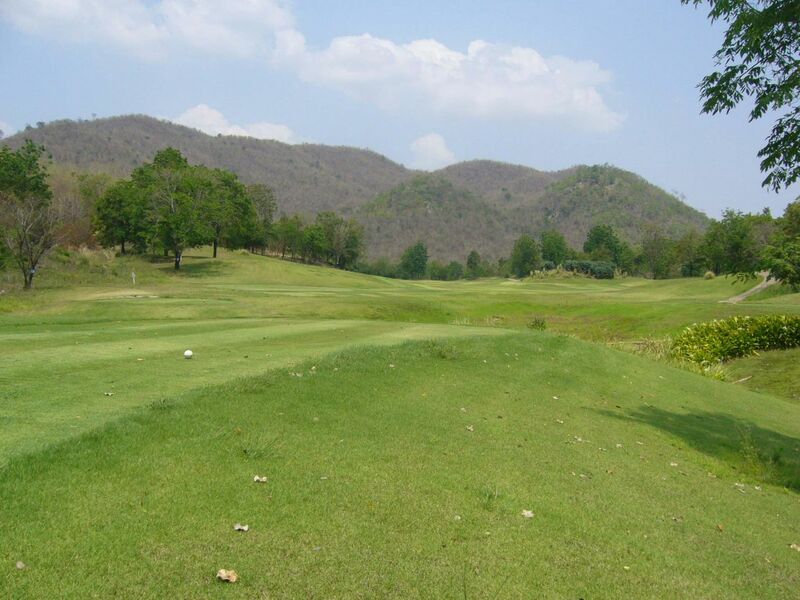 The location of Dragon Hills Golf and Country Club, make it a possibility from a number of popular places in Thailand. The golf course is a 90-minute drive from Kanchanaburi town, Bangkok and Hua Hin and this makes it a good choice for a day trip or for an extended stay. As mentioned above, the setting is what really makes Dragon Hills stand out from other golf courses in the region. 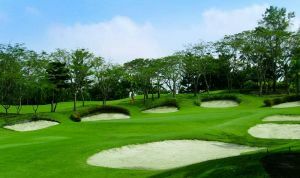 Surrounded by lush jungle, the golf course features undulating fairways and greens, water hazards, well placed bunkers and testing doglegs. It’s easy to be taken in by the setting, only to find your ball in trouble, making concentration a key element of playing at Dragon Hills. It’s the back nine holes, which really capture the attention, as they are based in environmentally preserved park lands. The 12th hole features an island green and forms part of the signature holes of the golf course, including the 10th and 11th holes. The par 4’s and par 5’s at Dragon Hills play quite long and can offer a real challenge, especially as there are plenty of hazards to avoid, in addition to sloping greens. The greens make approach shots important, as finding the wrong area of the green, could be costly. 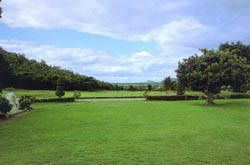 There are basic facilities available at Dragon Hills, which offers a small club house and accommodation. 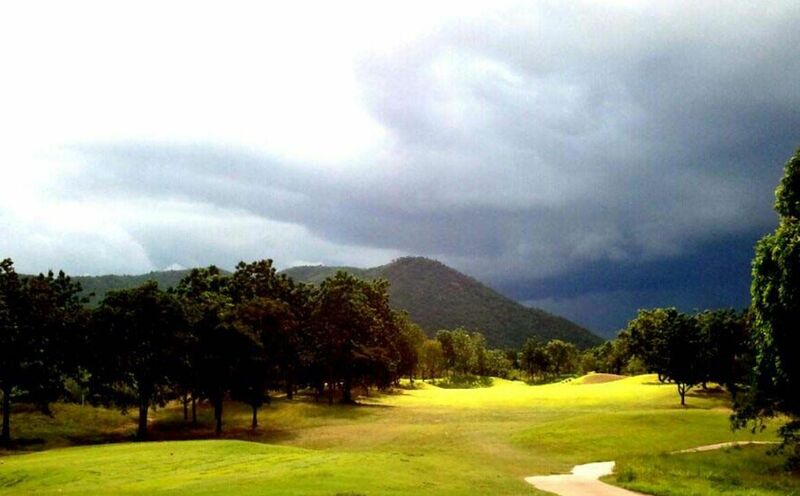 That being said, due to the location, many golfers prefer to travel to the area to sample a remote part of Thailand, play their round of golf and depart. Playing Dragon Hills Golf and Country Club is a great experience and one which should not be missed. Dragon Hills Golf Country Club has different Services to offer. Choose a date and number or players to see the rates.